Now there's a headline I wasn't expecting to type - but isn't that the beauty of pop? You can suddenly and unexpectedly be swept off your feet by a song, regardless of who recorded it or where they live. 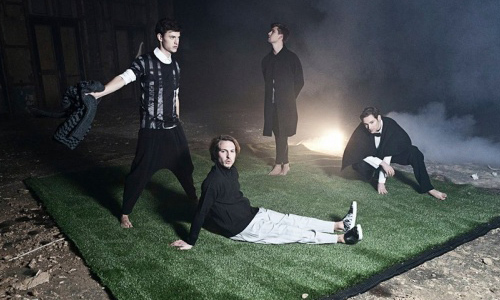 Felix Pallas are that band today: A quartet from Antwerp whose new single, Similarities, is a delicious dose of dusky pop. Throughout, the singer's sweltering falsetto tussles with surging synths, over a sinister lyric about being held prisoner as the "water's rising". Produced by Chris Zane (Bat For Lashes, Passion Pit, Friendly Fires, Nelly Furtado, etc) the band have branded it "alien synth pop", which is as good a description as anything I can come up with. HERE IT IS AND STUFF.